Okay Y'all! Today's post is for all you animal lovers out there! Have you heard of the vegan clothing company Saved Kisses? 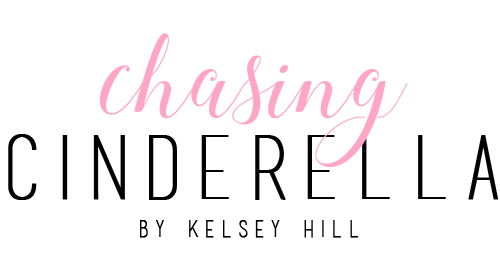 It's a clothing company that is completely eco and animal friendly, AND gives back to animal rescues! With every purchase you make, you save some animals, demand humane working conditions, support your country, and protect the environment! If that doesn't make you want to shop, I don't know what will! ATTENTION CHARLESTON READERS: Vegan clothing Saved Kisses has TWO great events for y'all this weekend! This coming Friday (April 28th) from 12-4 PM, stop by Hooley Resails where you can "Adopt & Shop" all styles and meet rescue pups from the Charleston Animal Society! Next, on Saturday (April 29th) from 2-6 PM, join vegan clothing Saved Kisses at Skinny Dip Charleston to "Shop and Sip" on some rose.. and also check out the new store (it's seriously amazing y'all)!! Don't miss out on these great events, for an even better cause! Such a pretty neckline on that dress. And seriously my favorite clutch! This is the cutest look on you! I love the shape of that dress and that clutch it to die for! The tassles on this bag are so cute! Love the outfit. Animal rescues are a huge passion of mine so I can totally get behind a clothing company that supports that! Such a cute look! I love that mock choker, and what a great cause! Such a cute dress!! Love it paired with that clutch! That dress is so beautiful on you! White is your color! I love adore the RM bag, I've had my eye on it for a while now! Wow this is such an amazing company! Just looking at their website and the philosophy is fantastic. Wish there was something like it in Britain. 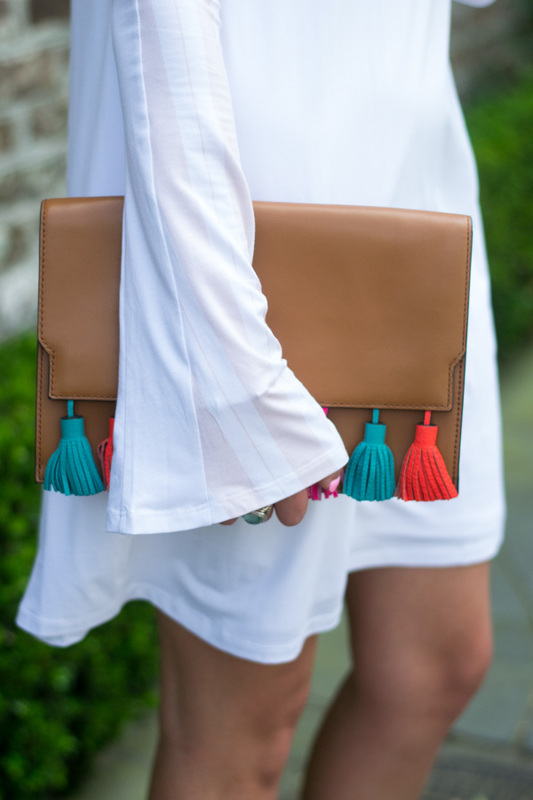 Really love the bag - the colour the tassels add the to outfit. 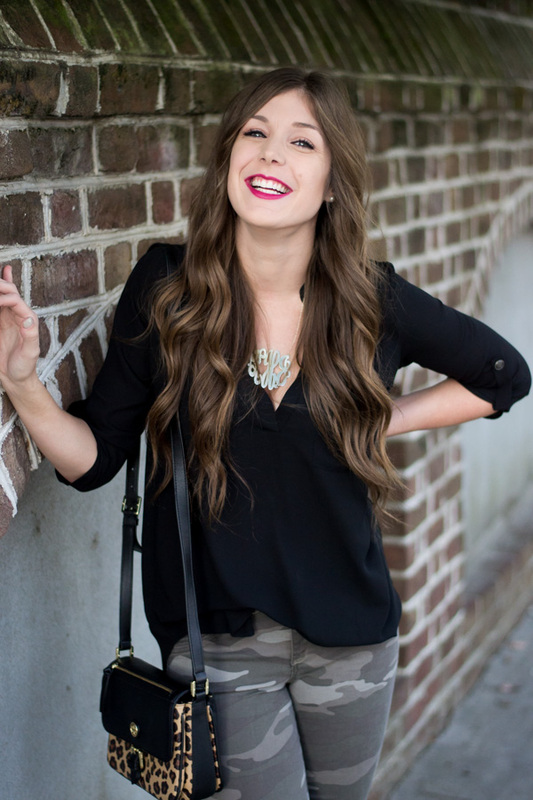 I have been dreaming of going to Charleston lately! I just love your fun bag and dress! i always need another great white top!! This is the perfect look!! I love that clutch! 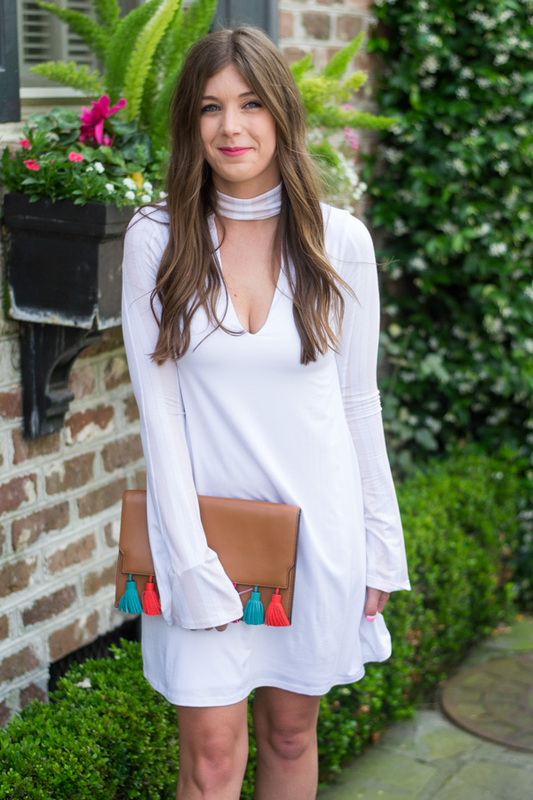 Such a pretty white dress and it's perfect with that clutch! Charleston is one of my favorite cities. Love this gorgeous LWD! This dress is adorable on you! I love the concept of giving back to animals. Such a sweet company! 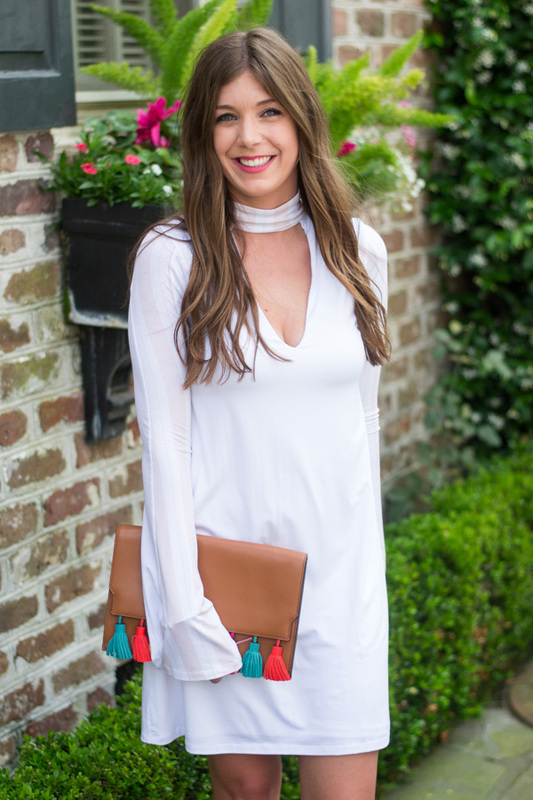 I love this dress and love how you paired it with that colorful clutch! LOVE that dress and I need that clutch in my life!! I am LOVING this company! That is so cool that they give back and help rescue sweet animals. I wish I lived in Charleston... I'd LOVE to go to those events! And your outfit is adorable! Loving that clutch + shoes pairing! So pretty, Kelsey! This dress is SO cute!! I love it paired with that clutch...such a great pop of color!! And knowing it gives back...IDEAL! !